Uzbekistan should invest more time in protecting religious freedom in its ongoing reforms rather than see religion as a threat, a UN expert has concluded after an official visit to the country. 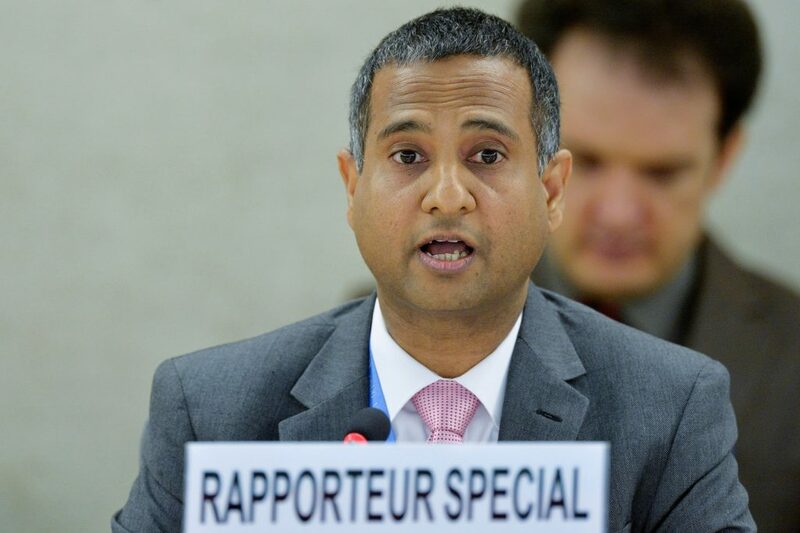 “Resilience against religious extremism can be built on strengthening diversity as well as freedom of religion or belief,” Ahmed Shaheed, the UN Special Rapporteur on Freedom of Religion or Belief, said on 12 October at the end of his 11-day visit, adding that religious freedom rights “cannot be sacrificed in preventing or countering violent extremism”. Shaheed said he believed President Shavkat Mirziyoyev’s government had “shown goodwill” in stepping up its international obligations under the five areas prioritised in the country’s 2017-2021 Action Strategy, which include “religious tolerance and inter-ethnic harmony”. For example, in June, 16,000 people were removed from a “watch list” following a review of detained people, and the recently established reception centres across the country where people can raise their concerns directly to the president’s office have resolved 80 per cent of the 1.2 million cases raised to date, Shaheed said in his statement. However, while Uzbekistan’s constitution guarantees freedom of religion or belief, in practice this is “subject to excessive regulations that prioritise security over freedom”, concluded Shaheed. Although the government is committed to reform, the challenges ahead “are daunting, not the least of which is the management of the reform process to ensure that the progress is transparent, meaningful, accountable and sustained”, he added. Shaheed also acknowledged that “there appeared to be some confusion as to what was precisely banned under the anti-conversion laws”, with sensitivity to proselytism and missionary activity varying from region to region. “People should not have to activate auto self-censorship whenever they speak of religion or practise their faiths,” he continued. During his trip, Shaheed visited Jaslyk prison – which Human rights Watch says is “well known for its harsh conditions and ill-treatment and torture of religious prisoners” – and met government officials and local authorities in Tashkent, Fergana, Bukhara, and Nukus, as well as representatives from ethnic and religious or belief communities. The Special Rapporteur will present a report containing his conclusions and recommendations to the UN Human Rights Council in March 2018. Separately, a 2017 report on Uzbekistan by the US Commission on International Religious Freedom (USCIRF) said the country held about 13,500 religious and political prisoners, and that, in 2016, sections of the criminal and administrative codes used to regulate freedom of religion were amended to increase penalties for various infractions. The report noted that the suspicion of terrorism was used to justify persecution, and that “members of Protestant denominations were subjected to frequent harassment through raids on private homes, seizures of religious literature, and the levying of fines”. USCIRF maintained that, in 2017, Uzbekistan merited its designation as a “country of particular concern”. Meanwhile, new reporting on Uzbekistan by news agency Forum 18, which monitors religious freedom in former Soviet states and Eastern Europe, details how the country is failing to permit the freedoms of religion and belief guaranteed in its constitution. According to Forum 18, abuse of religious freedom includes police surveillance, raids, torture and imprisonment. People from a variety of religious communities reported hidden microphones in places of worship, National Security Service (NSS) agents present at worship meetings, and the recruitment of spies from within religious communities, said Forum 18. Sources told Forum 18 on 14 October that they suspected police had put Ahmadjon Nazarov, a pastor from Khorezm region, western Uzbekistan, under close surveillance, and that the police were using informants within the church. Armed police raided Nazarov’s flat in July and arrested all those present. The women reported that they were later strip-searched at the police station. Nazarov also reported that he and a visiting Russian couple were followed by police two weeks later when they visited the neighbouring region of Karakalpakstan. During the trip, Nazarov was invited for an evening meal at the home of some friends. At 7pm the home was raided by 15 officers from Karakalpakstan’s interior ministry and two local police officers. Forum 18 was told that police, “without showing identification documents and without introducing themselves, immediately began to take away the guests’ mobile phones, and, with threats, demanded that each guest give their name”. Police confiscated a laptop, two phones and a Bible bought from the registered Tashkent Bible Society. Uzbekistan bans people from reading their own religious books at home, Forum 18 noted. A friend of the host who was present at the meal reported being summoned to the police station and “tortured by being beaten severely”. The friend did not want to report the beating for fear of reprisal from the state. Forum 18 also reported on the case of Baptist Pastor Fatkhulla Ibrahimov and three members of his church who were raided by anti-terrorist police on 11 October, during the visit to the country by UN Special Rapporteur Ahmed Shaheed. None of the four officers could produce a verifiable search warrant. Police confiscated books, a CD, Christian leaflets and photographs of church members. Christian denominations, including Russian Orthodox, Catholics and Pentecostals, make up about ten per cent of Uzbekistan’s Muslim-majority population. The country was 16th on the Open Doors 2017 World Watch List of the 50 countries where it is hardest to live as a Christian.